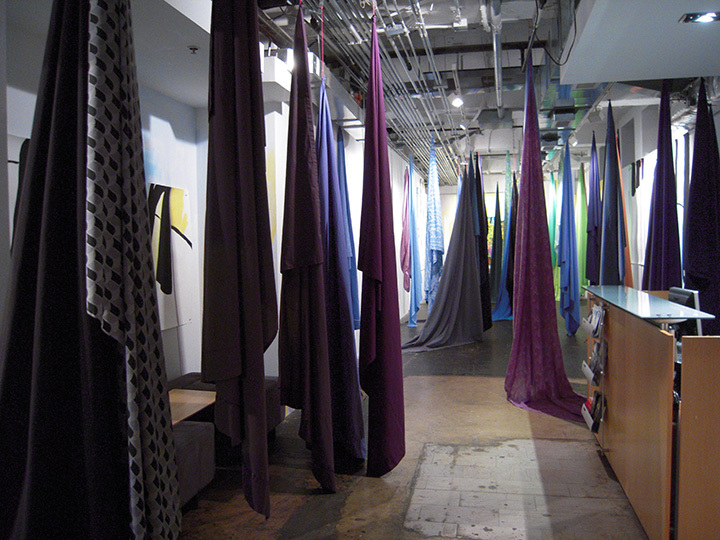 In the Pines was a large-scale installation at Flashpoint Gallery in Washington, DC, created in fall 2012. This work was an exploration of the connections between painting and installation. Materials included bed sheets, twine, mothballs, and acrylic, latex, and watercolor paints on paper and wall.